“Comic Families” children’s card game manufactured in Australia by Paper Products Pty Ltd, Melbourne, 1940s. 13 families with an Aussie touch, including the “Snobs”. 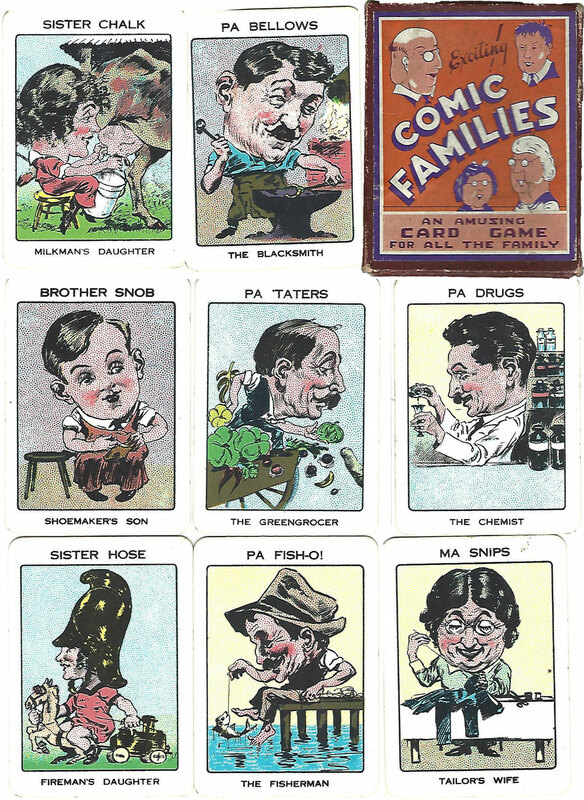 Above: “Comic Families” children’s card game manufactured by Paper Products Pty Ltd, Melbourne, 1940s. 13 families with an Aussie touch, including the “Snobs”. Very unusual to find Australian children’s games. Images courtesy Nick Thomas.